Being a young and technologically innovative industry itself, drones have embraced AI in many areas, particularly the field of aerial surveillance. But late last year, the Drone Racing League (DRL) and Lockheed Martin announced the AlphaPilot Challenge, an “innovation competition” pitting teams of engineers, students, coders and drone enthusiasts against each other to develop artificial intelligence technology to be utilized in an autonomous drone. The goal of the contest is to accelerate the creation of the first truly autonomous drone by providing a huge financial incentive – specifically, over 2 million dollars in prizes. 400 teams from 79 countries have already signed up for the AlphaPilot Challenge since registration opened in November of 2018, and soon they’ll face their first real test. Earlier this month, the Drone Racing League our-race Artificial Intelligence Robot Racing Circuit, or AIRR, which will take place sometime in the fall of 2019. There are two challenges involved for the nine teams selected to participate in the AIRR Circuit. The first, of course, is simply to beat their competitors in a race, creating a drone that can fly without human intervention or navigational pre-programming through three-dimensional courses faster than the other teams’ aircraft. Like most drone races, the Circuit will be asynchronous, meaning that the drones will fly one after another and try to beat each others’ times rather than actually racing simultaneously. Each team will be given a DRL-standard Racer3 that includes an artificial intelligence chip made by Nvidia to program as they see fit. The second challenge is to beat a tenth racer: a drone actually controlled by a human pilot. An additional $250,000 will be paid to any competitors that can pass this additional test, but that money won’t be easy to secure. In 2017, NASA’s Jet Propulsion Laboratory built three autonomous drones and pitted them in a race against expert drone pilot Ken Loo, who easily beat them all. It seems unlikely that teams of volunteer engineers, no matter how motivated, will be able to best the work of some of NASA’s best and brightest. But who knows – that race will have been more than two years ago by the time AIRR takes off, and AI technology can improve a lot in a short period of time. Making this challenge much more difficult is the fact that the challengers will not be given preloaded course maps before the race starts. 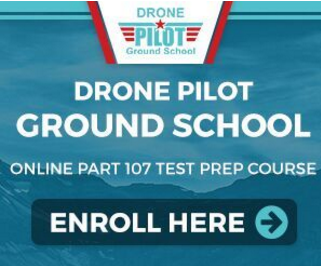 Making an autonomous drone fly a preloaded course is still difficult, but much easier than the alternative since you simply have to teach it to deal with a particular set of known eventualities. Having no preloaded course forces engineers to program their drones to deal with ANY eventuality, using complex object avoidance and other forms of sensory detection to react to their environment as quickly as possible. Drones driving through a course of this nature without human input usually travel at a top speed of 5.6 miles per hour. And the NASA test that went so poorly for the little robots? That was a preloaded course. Still, regardless of whether or not the lofty goal of creating an autonomous drone that can out-race a human is actually achievable – or, more accurately, whether or not it’s actually achievable in 2019 – this is an exciting competition that’s sure to push AI drone engineers to their limits. But what do you think, readers? Will we see AI-controlled drones become a reality this fall? Will it take 5 years, 10 years, more? Do you still have any concerns about the rise of AI in modern culture, or are you ready to embrace our robot overlords? Be sure to sound off in the comments below! What about that reaearch team that developed the system the TED talk presentation demonstrated. How the UAS could perfectl balance poles and work together as a team to perform some incredible manoeuvres. And that was 2014. I think. Probably flying around in a Reaper I guess.